Wushwini Arts Culture and Heritage Centre, spearheaded by its founder, Jerry Pooe, will host a five-days. arts festival titled Botho Heritage International Festival ‘umuntu ngumuntu ngabantu’. 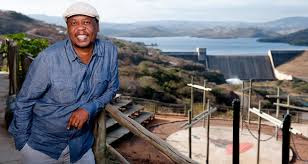 This exciting cultural initiative runs from September 27 to October 1 at Wushwini, overlooking the scenic Inanda Dam in KwaZulu-Natal’s famed Valley of 1000 Hills. Botho Heritage Festival features a vibrant programme of acts by a strong line-up of groups, artists and companies from KwaZulu-Natal, Gauteng, USA, Free State, Eastern Cape and Botswana, showcasing quality dance, music, theatre, storytelling, craft, exhibitions and praise poetry. “We are sincerely grateful to EThekwini Municipality, Music House KZN, Ink Tourism and KZN Department of Arts and Culture for supporting the festival, not forgetting all the participants who believe in the vision of this festival and all Wushwini and Eager Artists staff for the hard work in ensuring the success of this festival. We invite you to participate and to enjoy the rare experience in our Kingdom,” Pooe adds. The Botho Heritage International Festival 2016 concludes on October 1 with a six-hour programme of dance, music, and a live concert with Ringo Madlingozi and Hlengiwe Mhlaba starting at 17h00. This concert is titled Celebrating Diverse Cultures Through Dance & Song which enables audience members to share and embrace a wide spectrum of cultures through performances by Ringo Madingozi, Ngcolosi Home Boys, Ngcolosi Voices, Buhle Bensizwa and others. Botho Heritage International Festival tickets are R50 per show and R100 a day pass, R250 for the whole festival. The Ringo Madlingozi and Hlengiwe Mhlaba concert tickets will be R100. Tickets booked through Computicket and the gate, and can also be booked in advance on 083 472 9795 and 078 1147 442.